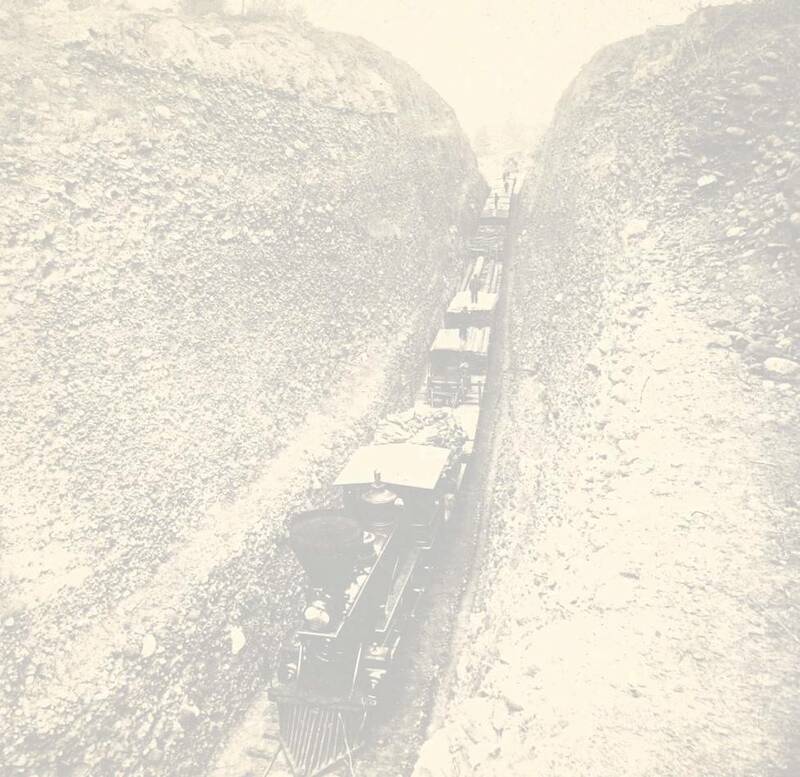 The Northwest's Own Railway. 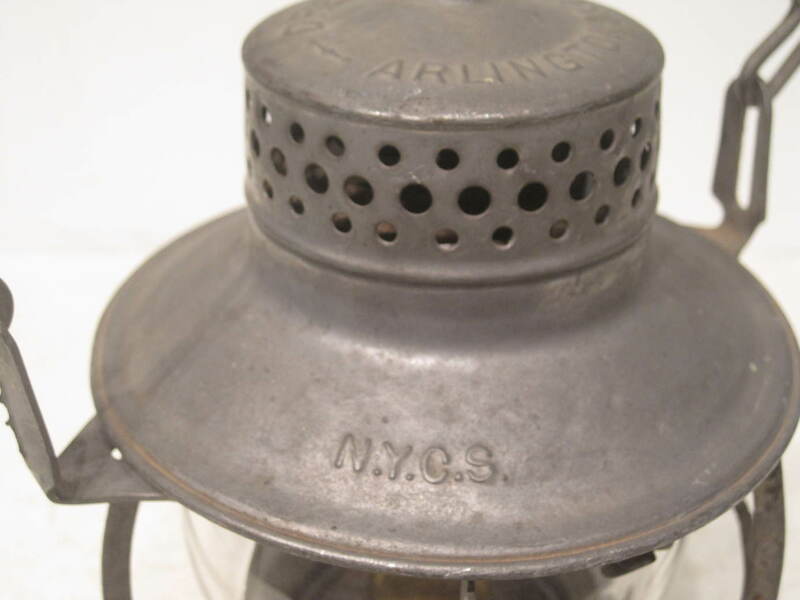 This Adlake model 400 Kero railroad lantern is marked SP&S on the lid in large lettering. Immaculate nearly unused condition with 100% original tinning finish perfect in every way inside and out. 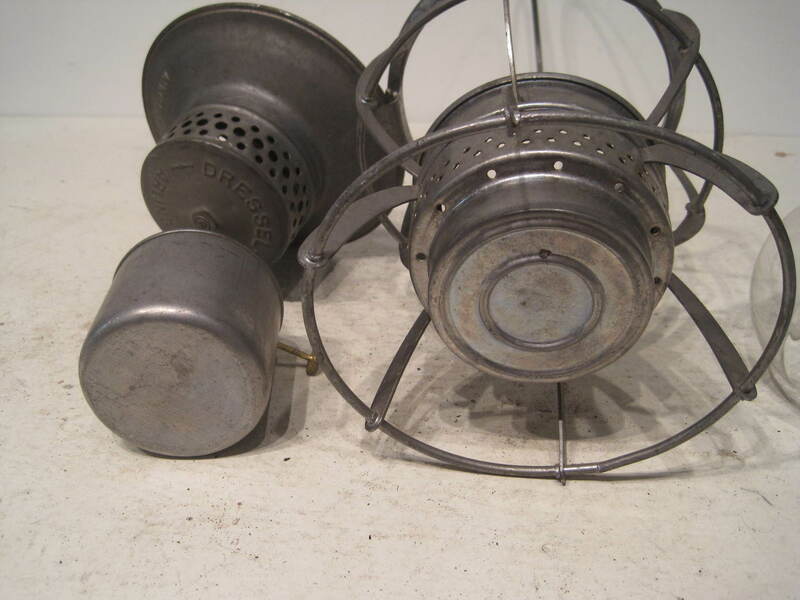 Original 400 model font and burner and comes with an SP&S signature style red Fresnel globe typical of many that were used in all colors on the railroad. Can't beat the condition of this lantern in any way. NPRY embossed in large letters on the lid of this Adlake Kero model 400 lantern. 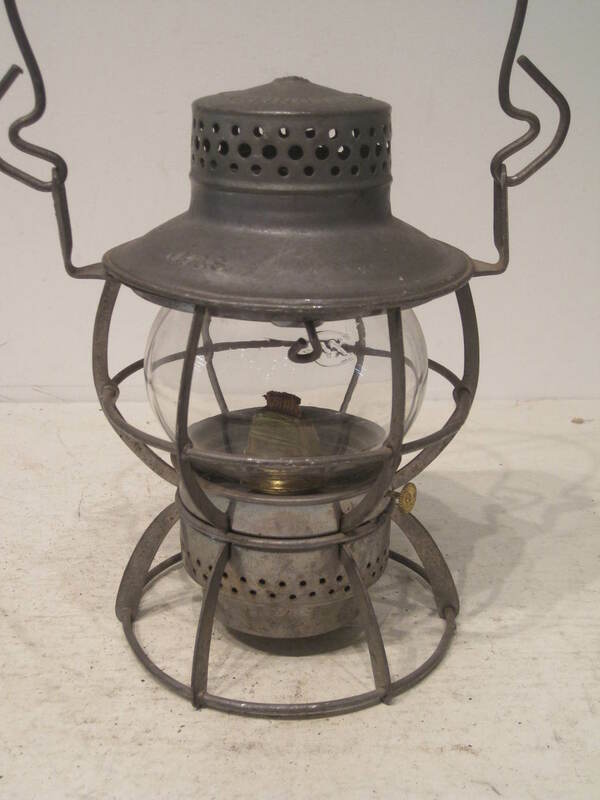 100% tinned and in perfect condition, this lantern has no repairs or damage anywhere. 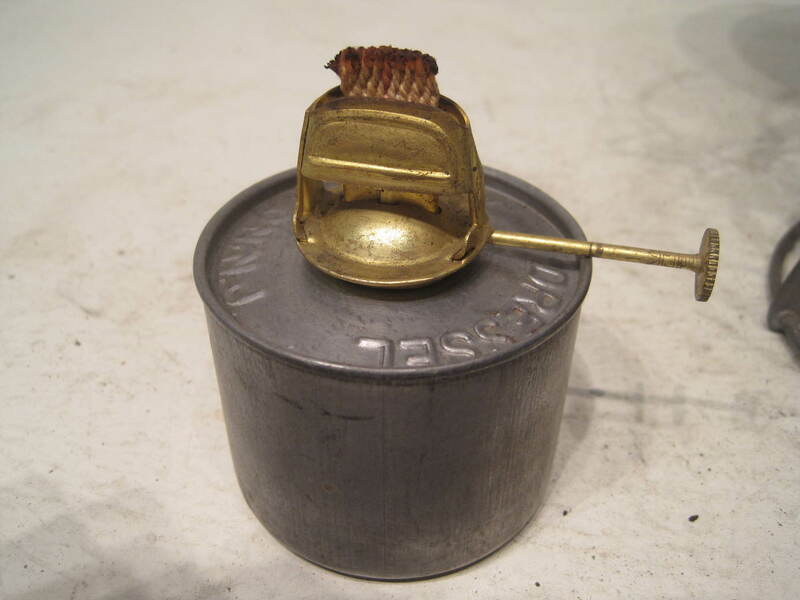 Remnants of old gold paint on lid and fuel font which is an Adlake model 300 but perfect fit, and original to the lantern as found. The globe is a very nice clear etched globe marked NPRy in larger lettering. Manufactured by Kopp, it only has minor rim chipping from use. Beautiful original set ready to display. WTCo. embossed on the lid of this Dressel short globe. This lantern has some very light surface rust in isolated spots and that's all that can be found wrong with it. There are remnants of some old green paint that have been removed. Other than that it is in excellent condition. Comes with original pot and burner in fully functioning condition and an earlier Corning clear unmarked globe with cast trademark logo and slightly raised round end panel. Only minor chips on the rims. Very nice lantern. 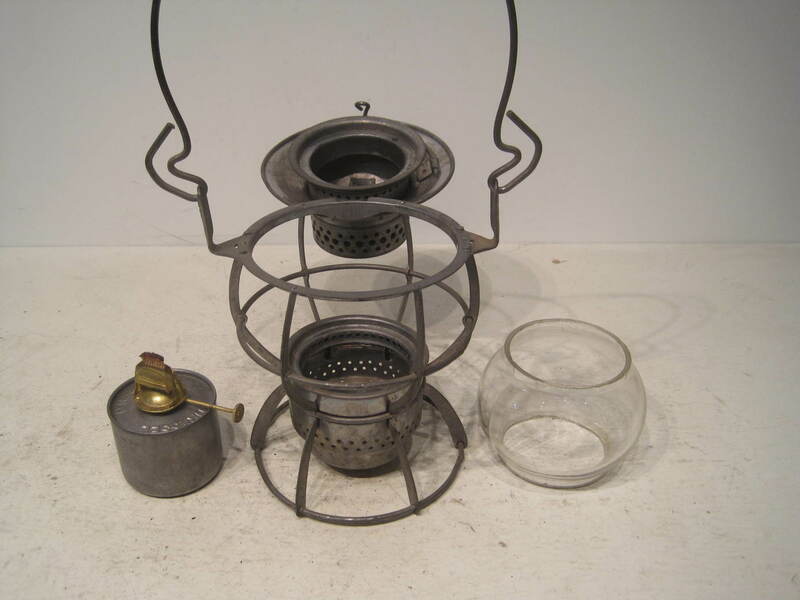 This Dressel short globe lantern is nearly new old stock showing only minor use. The lantern is fully tinned and clean as originally produced sometime in the early 1950's or 60's. The fuel font is original and in nice working order. The globe in the lantern is a corning original red unmarked globe with just minor rim nicks. Very nice lantern ready to display and enjoy. CPRY embossed in large letters on the lid of this Adlake Kero model 400 short globe lantern. This is a bit of a rarity in the short globe world as most lanterns from the "land flowing with Moose and Hockey" are marked CPR and are made by Hiram Piper. This however is a nice variation. It has no rust and a few dome wrinkles but otherwise nice and problem free. 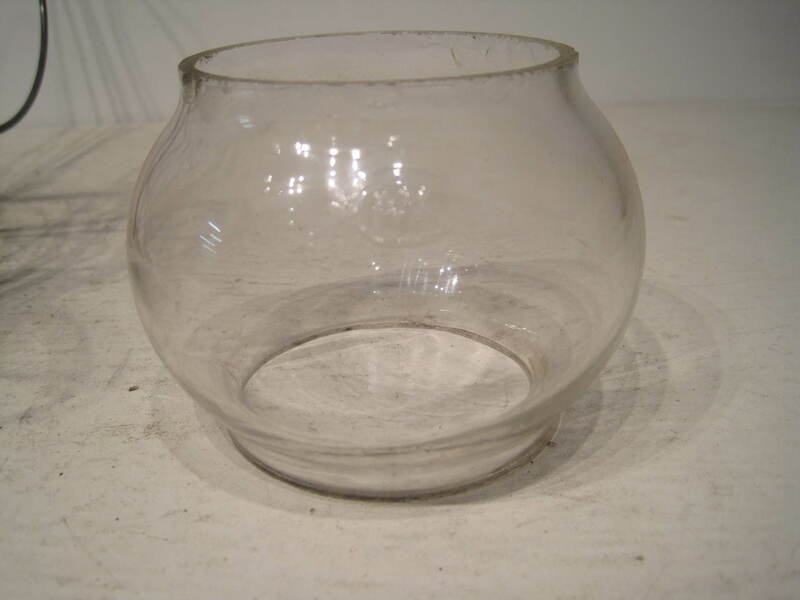 The globe is a clear unmarked original made by Kopp glass and is in excellent condition. Don't miss this great example. Price includes shipping to the lower 48. Add $12 USD for international shipping. Beautiful New York Central Dressel short globe lantern. All original tin and no repairs or extra holes. Original fount and burner in excellent shape. Just a perfect example. The globe is a clear unmarked Corning hallmarked globe with minor chips. Excellent set.